This collection is designed to answer the demands of students and socialists, teachers and interested readers, for a comprehensive critique of the major schools of European Marxism since the October Revolution. It is composed of a series of carefully documented essays setting out the theories of the major thinkers of the tradition, and submitting them to searching criticism. 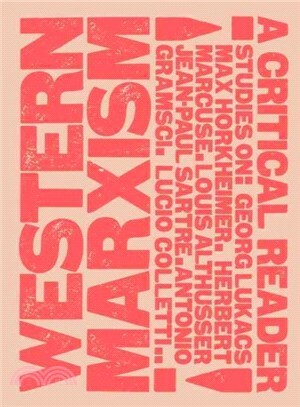 Essays include critiques of Lukacs by Gareth Stedman Jones and Michael Lowy; a survey of the Frankfurt School by Goran Therborn; an assessment of the legacy of Gramsci, by John Merrington; exposition and criticism of the work of Sartre by Andre Gorz and Ronald Aronson; major assessments of Althusser by Norman Geras and Andre Glucksmann and a wide-ranging interview with the Italian philosopher Lucio Colletti that provides an overview of Western Marxism.